If you receive rental income from residential or commercial property for any portion of the year, you are required to declare the income in an annual tax return. While both the process of filing and the prospect of owing additional tax may be daunting, especially for new or unintentional landlords, there is good news. Many of the expenses incurred in managing a rental property can be claimed against your rental income to reduce the amount of tax you owe. If you’d like help with understanding the specifics of the deductible expenses or with preparing and filing your return, Tax Return Plus is ready to help. 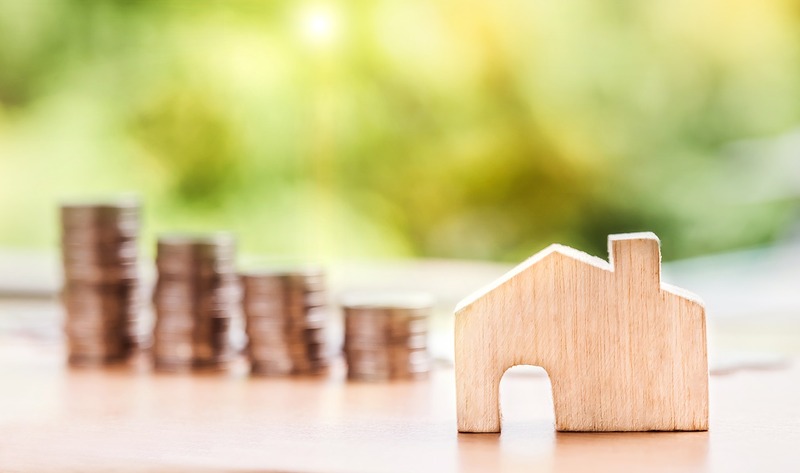 Read on to discover which expenses can be claimed and how it can benefit you, particularly if you’re a first-time landlord. Unless you qualify for an exemption, such as Rent-a-Room relief, you must register your rental property with the Private Residents Tenancy Board (PRTB) within one month of your tenancy start date. The standard registration fee is €90 per tenancy (late registration will cost you €180), and registration of multiple tenancies in a single building per year is usually capped at €375. You may claim this registration fee as a deductible expense. If you secured a mortgage to purchase, repair or renovate a residential rental property, you may deduct 75% of the interest accruing on the loan once your tenants are registered with the PRTB. As of January of this year, landlords who let residential property to tenants receiving certain social housing support may deduct 100% of the accruing interest for a period of three years. An important note however is that the additional 25% deduction for each year may be claimed only by filing a separate claim to Revenue at the end of the three-year period. If you use a property management company to collect rent, manage the property and handle tenants on your behalf, you may deduct the fees from your rental income. So if you’re a new landlord or living abroad, you might consider using such a service, at least until you’re comfortable letting the property on your own. All advertising costs incurred to publicise and let your property are tax-deductible. This includes print ads in newspapers, online listings such as on daft.ie and even using an estate agency to secure tenants. Advertising and legal fees incurred on first lettings are the only pre-letting expenses that qualify for deduction, so be sure to document those costs! If you have acquired any insurance policies for the protection of your rental properties, you may deduct your premiums from your rental income, including premiums paid on mortgage protection policies. Any professional legal fees incurred while setting up your rental property are tax deductible, which can be a big help especially to first-time landlords. An example of such service would be to draw up leases. Along with advertising expenses, legal services to help with setting up your property to be let for the first time are the only deductible pre-letting expenditures. If you pay a professional to help with accounting requirements of your rental properties, such as to prepare rental accounts, the expenses may be deducted from your rental income. Such services can be of particular value for new landlords who aren’t familiar with managing rental accounts. You are entitled to deduct any charges you pay for waste collection, recycling or other services provided by the local council on your rental property. If you bill your tenants for these services, however, you are not able to claim them as deductions. Expenses qualify as repairs and maintenance if they are necessary to keep your property at an acceptable living standard for your tenants, such as servicing boilers or fixing broken locks. To deduct these expenses, they must be essential and non-profitable, meaning you can claim the cost of hiring a contractor to repair a broken step, but you can’t claim for your labour if you fix it yourself. Formally known as a “capital allowance”, wear and tear deductions help offset the price of furnishings and fittings if you’re renting a property as furnished. Landlords are currently allowed to deduct 12.5% of the cost for eight years. For example, if you purchase furnishings for a room for €1,000, you may deduct €125 per year for the next eight years. It’s important to keep complete records of all expenses pertaining to your rental properties, whether or not they are tax-deductible. Revenue advises landlords to keep all supporting records, including invoices, receipts, bank statements and cheque stubs, for six years unless you’re advised otherwise by your revenue office. If you’re worried that rental income taxes seem like an overwhelming task, you’re not alone. Tax Return Plus can help ease the stress and uncertainty of taxes and deductions, whether you’re a first-time landlord or have been in the game for a while. From just €150 + VAT, we can do your tax returns for you. Simply get a quote here. Got a question for our team? Feel free to give us a call on 059 8673894 or send an email to info@taxreturnplus.ie.